Happy Monday, dolls! I hope you all had a great, relaxing weekend. 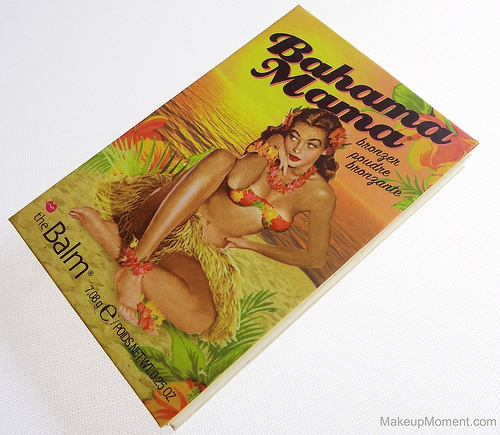 Today, we are going to be taking a look at theBalm's Bahama Mama Bronzer ($19.00). A few weeks ago, I won a twitter contest from theBalm and this product was my prize. Huge thanks to theBalm for gifting me with this bronzer! I just love it and it has quickly become an essential item, in my everyday makeup routine. 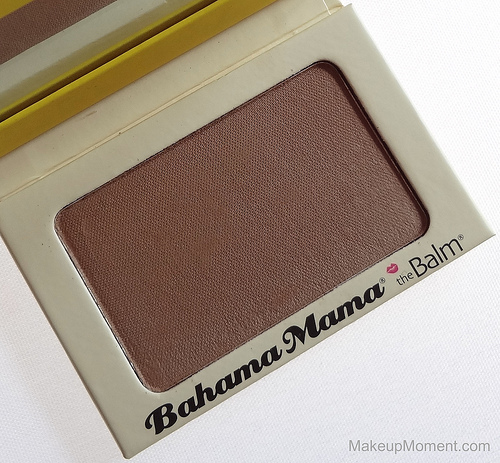 Bahama Mama is a semi-cool, light golden brown, with very fine shimmers. The texture is smooth as butter, and the seamless way this bronzer blends onto my skin is just as nice. I don't find the shimmers to be apparent much at all, when applied on the cheeks. Semi-matte would be the best way for me to describe the finish. Please believe me when I say that this bronzer is very user friendly, and one that will flatter a broad range of different skin tones. It's easily buildable and it looks so natural, on. 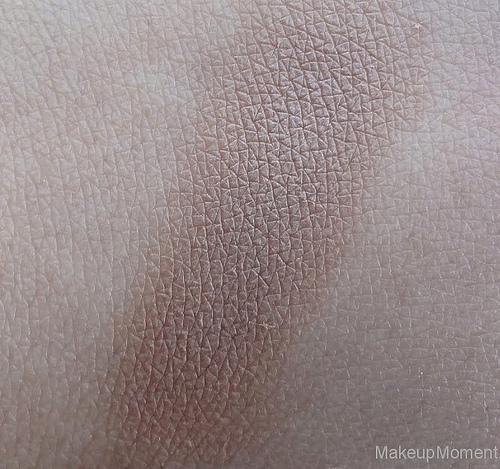 I love that there is no orange coloring in this bronzer, which can sometimes look unnatural and overdone. As per usual with theBalm, the packaging contains its own personality, that adds a super fun vibe. It's hard not to fall in love with Bahama Mama's retro, tropical look. Makes me enjoy the product that much more, really. Also, I am a fan of the sturdy, cardboard compact that contains a magnetic closure and a nicely sized mirror, inside. Great for on the go application. Overall, If you are looking for a bronzer that doesn't give off a heavy shimmered finish, looks natural on, and lasts all day, don't hesitate to give Bahama Mama a try. Simply put, I think this is an ideal product for giving the skin a natural warm boost, that is sure to please not just for the summer months, but all year round. And as an added bonus? 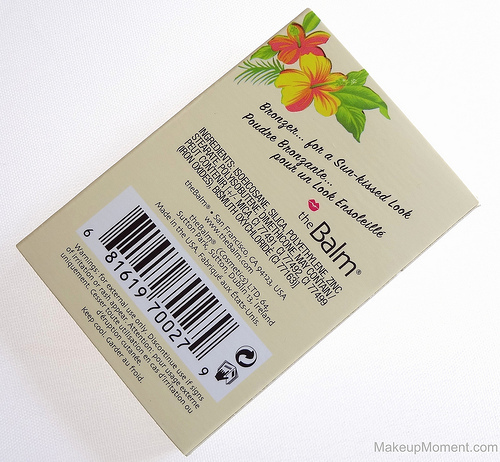 Bahama Mama is paraben free. Love that! 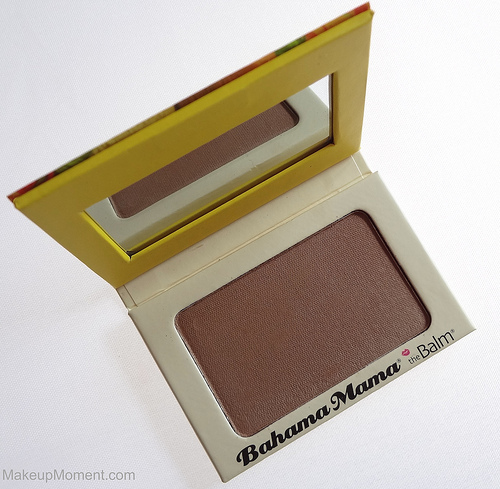 What do you all think of theBalm's Bahama Mama bronzer? Which theBalm products are your favorite? Disclaimer: I received this product (free), because I won a contest. I am not being compensated for this review and all opinions are honest, never influenced, and my own. That looks amaze! I agree with you, I like that it isn't orange. Great review! Thanks for your comment, Kayla! Which are your favorite bronzers? Looks really pretty also great review. I don't own any Balm products :( But one of my favorite bronzers that I'm loving is from tarte in park avenue princess. I use it all the time!